Cardinal Robert Bellarmine of the Roman Catholic Inquisition delivered an injunction to Galileo Galilei for his support of the heliocentric model of the solar system. Charles Messier added M53 to his catalog (globular cluster in Coma Berenices, previously discovered by German astronomer Johann Elert Bode on 3 February 1775). J. Rheden discovered asteroid #744 Aguntina. K. Reinmuth discovered asteroid #1091 Spiraea. Robert Watson-Watt gave the first public demonstration of RADAR (RAdio Detection And Ranging), a remote-sensing technology that has become a very important part of space exploration. G. Kulin discovered asteroid #1452 Hunnia. K. Reinmuth discovered asteroid #1632 Siebohme. L Oterma discovered asteroid #2841 Puijo. A USAF Boeing B-50 Superfortress named Lucky Lady II began the first nonstop around-the-world flight, departing from Carswell Air Force Base, Fort Worth, Texas. George Franklin Smith became the first aviator to bail out at a supersonic speed and live. 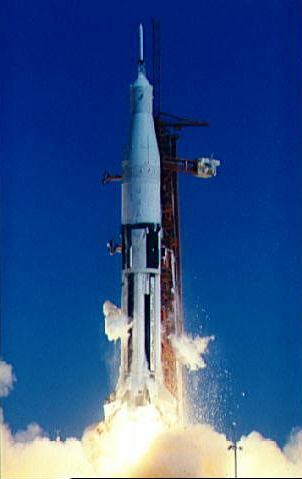 NASA launched AS-201, the first flight of the Saturn IB rocket, carrying a test Apollo capsule payload. The Apollo-Saturn 201 (AS-201) mission, launched 26 February 1966, was an unmanned suborbital flight to test the Saturn 1B launch vehicle and the Apollo Command and Service Modules. It was the first flight of the two-stage Saturn 1B. The objectives of the flight were to verify the structural integrity, launch loads, stage separation, and operation of subsystems of the Saturn 1B, and evaluate the Apollo spacecraft subsystems, heatshield, and mission support facilities. Due to loss of data during maximum heating of the heatshield, the evaluation of the ablator at high re-entry rates was not achieved, but all other objectives were met. Among other achievments during the flight, this was the first flight separation of the launch vehicle and a production spacecraft; the first Service Module (SM) burn and restart at altitude; and the first full flight test of a Block I Apollo spacecraft. NASA's Apollo 14 astronauts were released from quarantine after their mission to the Moon, the last Apollo astronauts quarantined. USSR launched Cosmos 398 with initial orbital data similar to a Soyuz-type flight, but with a later Lunar or interplanetary orbital launch platform configuration. It is believed to have been a possible test of new a Lunar-type engine system. The last total eclipse of the Sun in the twentieth century visible from the continental US occurred. H. Debehogne discovered asteroid #3268 De Sanctis. N. Chernykh discovered asteroids #3575 and #3576. USSR launched Cosmos 1824 from the Baikonur cosmodrome aboard a Soyuz rocket, a Soviet photo surveillance satellite. NASA launched GOES 7, the tenth in a series of NASA-developed, NOAA-operated, geosynchronous and operational weather satellites. A total eclipse was visible over Central and South America, and the Caribbean: Venezuela to the Pacific Ocean (4 minutes 9 seconds duration).